With their programme of league fixtures rounded off in an emphatic 7-1 demolition of Cabinteely FC on Saturday night, Finn Harps face another fortnight’s break before they return to competitive action in the play-offs. Ollie Horgan’s side will play in a specially arranged friendly on Friday night at Letterkenny’s Coláiste Ailigh grounds when they meet the Irish Army side. 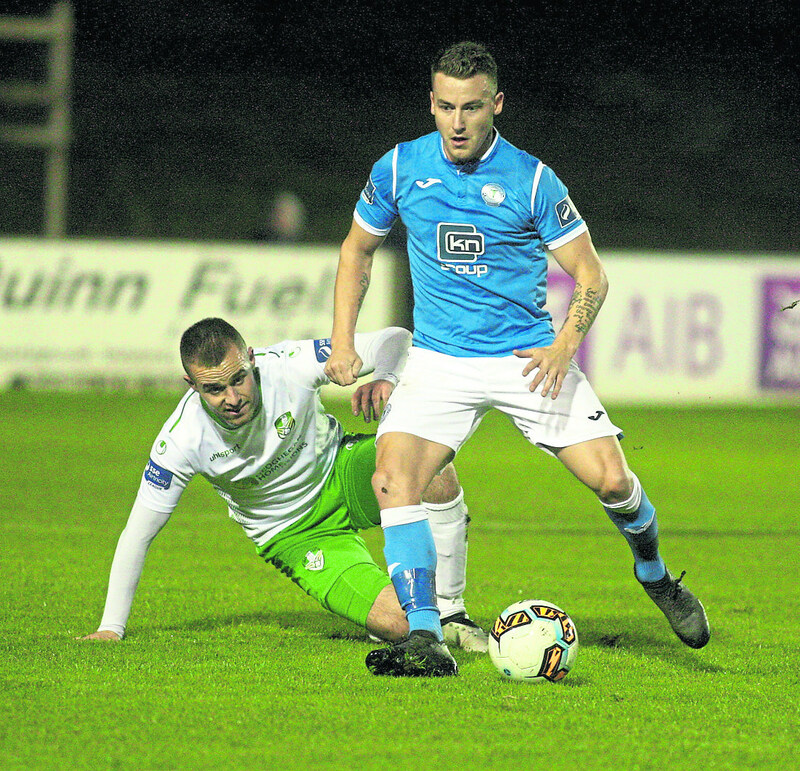 The Harps boss said the timing of the match has worked out well as it will give his squad a run-out before their play-off semi-final opener on Friday, October 12. Their opponents in that game will be either Shelbourne or Drogheda United who meet over two legs on Friday, October 5 and Monday, October 8. Horgan was reluctant to say which team he’d rather meet in the play-offs, insisting that both sides are strong and very experienced. “We’ve played Shelbourne three times this season and all three games have finished in draws,” he said. “Drogheda beat us at their place at the beginning of the season. We beat them at Finn Park and I don’t know how we did it, but we managed to beat them away in July. Tomorrow night’s friendly will afford Horgan the opportunity to give some game-time to some of his fringe players. The squad have availed of the wonderful facilities at Coláiste Ailigh this season, and Horgan said the club really appreciates all that school principal Michael Gibbons and his staff have done for them. “The facilities are as good as you could wish for,” the Harps boss said. The game might well see Harps defender Aidan Friel playing a half for both sides. The Strabane man is a member of the Irish Army and a regular on the army team. Horgan was happy to report that those players who lined out last weekend came through their match against Cabinteely without picking up any knocks. Mark Timlin is the only injury worry ahead of the play-offs after suffering an unfortunate injury playing in the recent friendly against the Donegal League’s Oscar Traynor team. Looking back on the Cabinteely game, Horgan said the result didn’t reflect the pattern of the game itself. “I wonder if we’d needed to win against Cabinteely if we’d have won 7-1,” he said. “I wonder would we have got the little bit of luck that went our way in the first half. We were 3-0 up at half time but it could have been 3-3. “The match could have finished 7-5, and that’s no exaggeration. Cabinteely had a couple of great chances and Peter Burke made two quality saves. Friday night’s game in Letterkenny kicks off at the earlier than advertised time of 5pm. It’s part of a unique fundraiser where tickets, costing €10 include entry into three top quality matches involving Donegal senior men’s and ladies Gaelic teams and also Friday night’s game. The Donegal men’s and ladies teams will play pre-season games in December on dates yet to be decided. All games will be played on Coláiste Ailigh’s pitch in Cnoc na Mona.